The end of the calendar year (just like birthdays) tends to be a time of great reflection for many of us. We look back to evaluate the past year and at the same time look forward to the new year and what it can hold for us. So of course, I’ve been thinking a lot lately on both the past and future. First the past. There was a lot I didn’t accomplish in 2011 that I wanted to and there was a lot I did. While I’m not in the financial or physical shape that I’d like to be in, I made great progress in both areas this past year. On a personal note, I had a lot of fun and did most of the things I wanted to. So I can’t complain about 2011 being a bad or unsuccessful year. Looking forward, I want to 2012 to be a big year. While I’ve had some good years in the past, I’ve lately fallen into the trap of just doing what it takes to get by. And truthfully, I haven’t done anything truly bold or impressive (at least in my opinion) in quite some time. 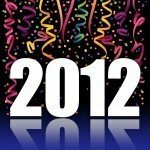 I decided that 2012 will be the year that things change. I’ve had a lot of conversations with people about things related to goals and resolutions but struggled to find something I was really passionate about. I’m a person that gets bored easily and small rewards don’t excite me, so this time around, I’m looking to do something different. After a lot of thinking, I finally came up with the perfect idea. I always love a good challenge and nothing motivates me more than someone telling me I can’t do something. Also, it seems like lately I’ve been focusing so much on the negative that I need something to get me to think more positively. So my goal is to figure out how to make [cue Dr. Evil voice] one million dollars (US) in a single month. Yes, my resolution is to spend January figuring out how to make a million dollars and then February writing an e-book to detail my findings. I’ll be researching methods of wealth creation, interviewing people and using my creativity to try new things. At the very least, it’ll be a fun learning experience so even if I only end up a dollar richer by the end of January, I’ll organize everything I’ve learned in February and try again in May. But I have no intention of not succeeding. I have to earn the money between 12:00:00 AM on January 1st, 2012 and 11:59:59 PM on January 31st, 2012 Eastern Time. That means I have exactly 31 days. I have to honor all my existing personal and professional commitments. So I can’t drop everything in my life to focus on this. On the flip side, I can include income from these existing professional commitments. Hey, I need some help here. I may use existing or in progress projects. In other words, I’m not starting from scratch. Technically, we all kick ideas around for weeks, months or even years so my blog, existing products and things I have in the works will be assets that I’ll inventory as part of this process. It’s something I’ve need to do for a while. I have to earn or obtain the money only through legal methods. That means no stealing, lying, cheating, etc…. I’m also excluding income via donations and inheritance as I don’t believe they should count as income. The income has to be profitable income. In other words, spending two million to make one million doesn’t count. Any new expenses incurred as part of this process will be deducted from the total but current expenses that I’d have even if I weren’t doing this challenge (web hosting, cell phone, etc…) will not be deducted. I may modify these rules throughout the process (and not necessarily in my favor) for the sake of clarity and consistency. The most exciting part about this to me is that I haven’t overthought it enough to talk myself out of it. Again, I’m trying to take a new approach here so I’m as focused on it being a learning experience as I am on getting the desired result. 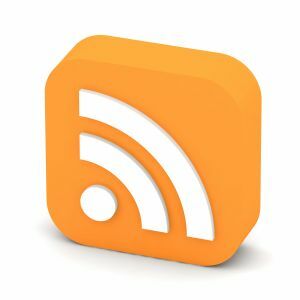 So if you’re interested in following along, feel free to subscribe to the RSS feed here on the blog and look for the topic Million Dollar Month. I’ll be blogging regularly about it. I’ll be setting up a discussion group on either Facebook or Google to let those interested in this topic share ideas. To get added, use the contact form below to let me know you want to be a part of it. I’ll be awarding free e-books to those that participate and share ideas. I’m looking forward to this new and exciting journey.